David Cameron has declared the south-west of England "open for business" again as the main railway line through Dawlish in Devon was reopened after part of the track was destroyed during the recent storms. 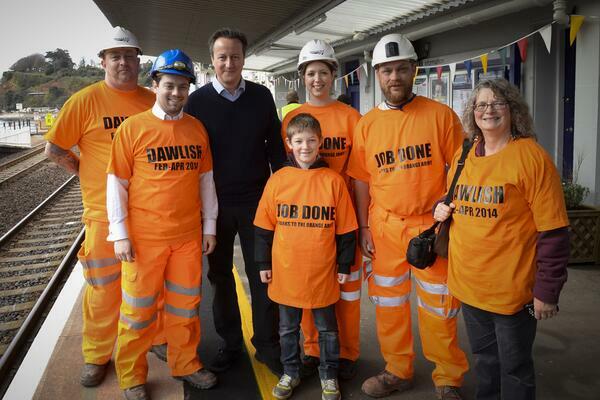 David Cameron has met workers who helped to reopen the Dawlish railway line after it was damaged following the February storms. Businesses say that when news broke nationally of the rail line collapse at Dawlish it was as if a light switch went off on bookings.